These individuals influenced my artistic or intellectual growth. This page is an ongoing project. Clarence Glacken - geography professor at Berkeley, has his own section below. It may well evolve into an essay on the history of environmental thought. Muriel Goodwin - friend, painter. Ms Goodwin provided encouragement and insightful criticism of my paintings. When she worked in my studio it was like being in a one-person master class. Alfred Leslie - painter, instructor. 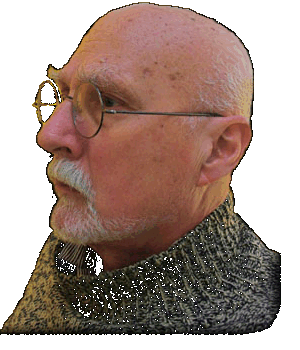 Erle Loran - art professor at U. C. Berkeley. Loran's book, Cezanne’s Composition: Analyses of His Form with Diagrams and Photographs of his Motifs, chronicles the time Loran lived in Cezanne's studio in France, photographing motifs of Cezanne's paintings, and analyzing the way Cezanne altered the paintings to produce an acceptable composition. In the third week of October 2018 I visited Cezanne's studio, and the quarry Bibimus, both places where he painted. Seeing the actual motifs helped me to understand the nature and extent of his reorganization of the optical reality of the motifs. Cezanne played a major role in the transition from representational art to non-objective art. Gottardo Piazzoni - Swiss-born Bay Area painter. Harold Webb - chemistry teacher El Monte High School, sponsor of the chemistry team and minerology club. Mr. Webb provided a rigorous grounding in science and mathematics that has been invaluable throughout my life. On minerology club field trips he encouraged me to paint landscapes and spoke well of my efforts. Clarence Glacken - geography professor at U. C. Berkeley. I have been aware for many years of the existence of a file box of Mr. Glacken's unpublished manuscripts and wished I could explore its contents. In 2017 the University of Virginia Press published Genealogies of Environmentalism: the Lost Works of Clarence Glacken, based, in part on the contents of this file box. I preordered several copies and have given the book to many friends.